A perusal of where employees of the great telecommunications, pharmaceutical, financial and industrial companies in the area studied will reveal a remarkable number of Stevens graduates. A significant portion of that alumni representation received their education in management and technical disciplines through customized certificate and degree programs delivered right at their company locations. These onsite programs foster tight bonds between colleagues, who take classes as a cohort in the comfort of their worksite, and reflect the relevant teachings and applied methods that help Stevens alumni confidently address complex challenges and drive change on an enterprise-wide level. And a generous discount program — offered at no cost to the employer — puts our certificates and advanced degrees within easy reach of aspiring managers. We've designed our corporate programs to ensure that doing business with the School of Business is as easy and streamlined as possible, without endless bureaucracy and paperwork. Please contact me to find out how easy it is for your business to benefit from a relationship with Stevens. 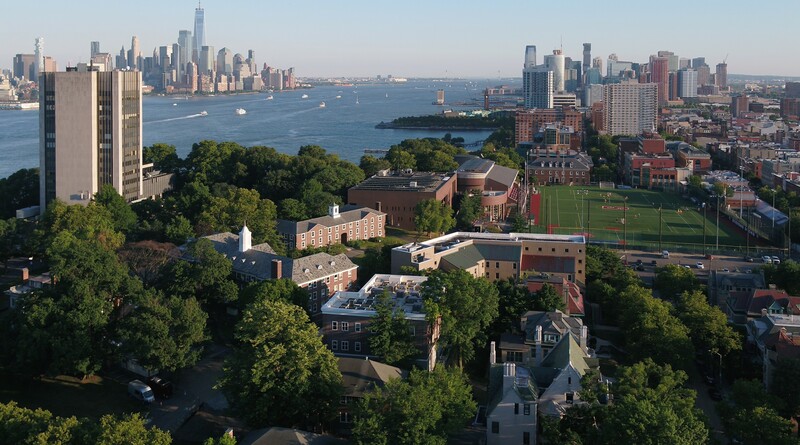 Onsite corporate programs at Stevens have a number of defining characteristics intended to create maximum benefit for both employers and students. The School of Business deploys its own research faculty and elite adjuncts, whether a course is delivered onsite, on campus or online. Stevens is committed to making the corporate education experience as good or better than other channels. Faculty relish the opportunity to work with experienced professionals who are tackling real-world, real-time issues as discussion topics or even projects in each class. While the foundational degree requirements are constant, each corporate program is adapted to meet the demands of the business. Companies often draw on Stevens' expertise in areas like creative collaboration, design thinking, and technology and innovation management that lend themselves to the cross-functional class makeup. The cohort experience helps students forge deeper relationships as they work together in a learning environment; those shared experiences build a rapport and trust that pay dividends for the company. Stevens' corporate programs are designed to require minimal interruption or bureaucracy for both students and sponsor company. For the student, the elimination of travel time can literally mean weeks of their lives back over the course of a full degree program. From the company, all that Stevens requires is promotional opportunity (via information tables and webinars) and evening access and classroom space. Perhaps most importantly, Stevens is able to offer a considerable discount for these programs. Stevens has decades of experience working with companies in virtually every industry to provide degree and certificate programs, as well as customized workshops and short courses.